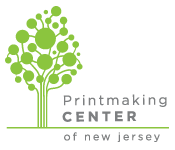 PCNJ hosts compelling and engaging exhibitions in its on-site galleries and at off-site public and private locations. Exhibitions are invitational or juried. They explore dynamic themes that reflect upon contemporary issues, while inviting broad and diverse interpretation. Exhibitions are free and open to the public. Docent-led tours are available upon request.